Richard Baron = Sepp Blatter of the medical world! He needs to resign effective immediately! The American Medical Association House of Delegates passed an important resolution to end mandatory MOC immediately over a year ago. 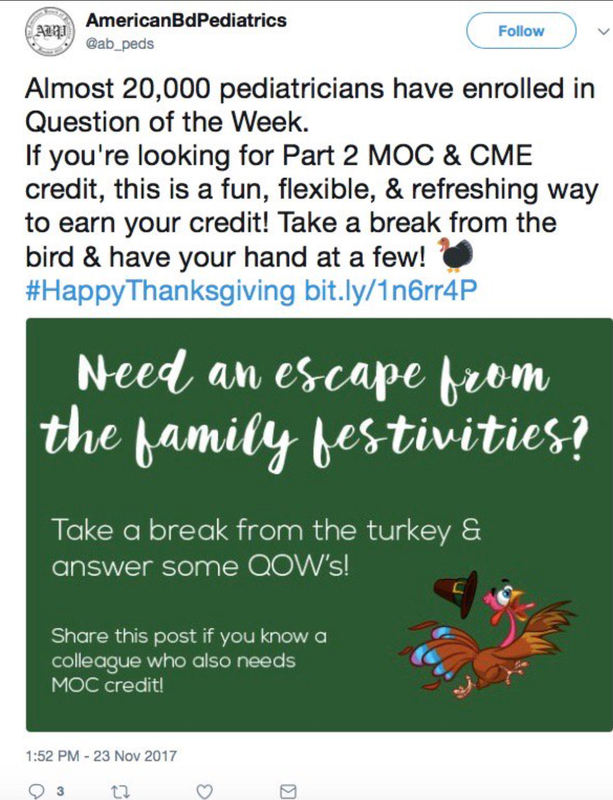 The American Board of Pediatrics could have announced the end of MOC on Thanksgiving day, but no, instead they insist on molesting their flock, by continuing to extract money from MOC and increasing the amount we have to pay for their expensive political hay. I lost faith in ABP's leadership long ago and view the corrupt ABMS umbrella and specialty boards as menaces to physicians' and patients' rights more and more everyday. I suppose the PR man from that big Chicago advertising/lobbying firm - who has been working at the ABIM for a couple of years - thought it was a good idea to have a photo of hands touching hands in support. It is assumed what I'm talking about. I'm referring to the photo and phrase, "thank-you for what you do everyday". It is an out of place, almost semi-religious message with the hands referencing prayer - but the wrong kind. You know the kind I mean, where the pseudo tent-preacher played by a con-man is preaching goodness and thanksgiving, but in reality he's just after the contents of your wallet. He is using you by using your emotions as a goad. And for weird psychological reasons known only to the pseudo-preacher he needs to maintain unwarranted political influence over his parishioners. I literally find it sickening. Richard Baron is one of the biggest phonies on the far-off planet "Political Bureaucrat" along with Robert Wachter and Christine Cassel. I really don't know what planet they came from or what star system, but they have taken over our planet and medical system it seems. It really is stomach turning, because I know without doubt that the ABIM is the most twisted of all the corrupt medical boards. What they do and mandate feels alien. What have they done since they came to our planet and took over the health system. Let's take the 2.3 million dollar luxury condo with the multi-million dollar view and equipped with "Cadillac" and chauffeur along with 24 hour concierge service as an example. But they have the minds and hearts of ersatz people imitating life on the planet, and they did it in a clever way by creating and infiltrating organizations who have no tax to pay, making it possible to get rich off hard working earthlings who give half their lives away to the government and others. Chris Cassel, to me, is like a tent preacher who settled in the Southwest and DC would come to town (Philly) for her fat paycheck once in a blue moon. Yet she expected the most luxurious accommodations just for showing up to preach and pick up her enormous compensation package. We know for a fact that this alien from planet "PB" was "preaching" full time in DC and did not live in PA. But this "extraterrestrial gig" in Philly paid the bills for her and her husband who also got his airfare, food and lodging paid for by physicians. We don't know how much was paid out exactly and who else stayed at the condo in the meantime. They just won't come clean. They have it all in their X files. Bob Wachter may have used the condo as his personal bird nest for all we know, as they won't release the "guest list" from Dec. 2007 until they sold the property. thinking until some physicians stepped out of the borg's mind mold and exclaimed they should not get away with such a scandal, while Bob Wachter said it was just "politically dumb" to buy it. Seriously, the more I look at the false prophets at the ABIM and other medical boards, I would not be surprised if they used the thing for personal enrichment - as a perk for the CEO and officers. Since "tricky Rich" won't give out an itemized list of who stayed there and at what expense to the public (who asks for it often) we can only assume the worst and assume this very strange secret cult has unusual indulgences that match their unusual greed for money and lust for power. It is a non-profit corporation they created, by the way. In case you don't get the reference to bird nesting, it is an allusion to Bob Wachter's unusual nesting behaviors as reported in the Huffington Post. Dr. Wachter, ABIM director and ABIM trustee, apparently had a big role to play in the purchase of the condo. Bob may have used it personally as his living situation would most certainly have benefited from having a home away from home at the time, or second birds's nest for dating. This would be a great financial boon to him or Dr. Cassel. Not to forget the others who would personally benefit or for clandestine political or financial dealings. Dr. Wachter would have known that Dr. Cassel would not be coming to Philadelphia showing up for work, only rarely. The condo was advertised when it was purchased and sold as a great space to entertain, and we understand that it was used for entertaining as well as a space for lobbying. It was also used for an extended period of time as a command center away from prying eyes in the sting operation in preparation for the unprecedented seizure of countless thousands of personal files and private communications of physicians who attended board courses with Dr. Arora for nearly twenty years. The ABIM still retains these files and can use them at any time in intimidating a physician, keeping letters and notes attached to their clients files. Note: an undisclosed felon, ABIM's director of investigations, who does not appear anywhere in the tax filings, and team of 27 contractors/employees were used in conducting the sting operation against board review courses and physicians that were culled out of the thousands of files they collected. The fact that they still retain the files even after they settled out of court with Dr. Arora and other board review courses is disturbing to say the least. The new two-year "MOC exam" is equally disturbing as it renews every two years a contract which states a diplomate opens themselves up for civil and criminal prosecution. They do not hesitate to exercise that option even when they know there is no case to win. The two year option if foolishly referred to often as a step in the right direction, but objectively it is five times more stress and just as many times more chances to fail or be called out for irregular behavior by any of the unvetted third-party organizations or felonious individuals the ABMS/ABIM chooses to work with. 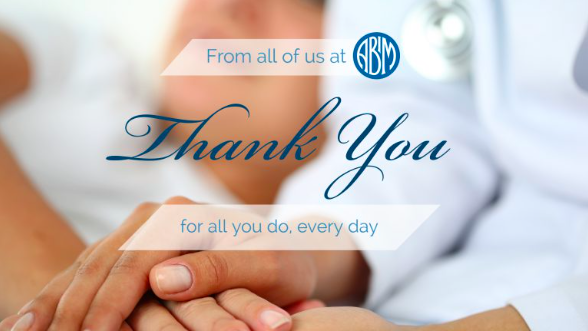 The ABIM has not stated that they hired Benjamin Mannes, and they are not stating if he is still employed with them. Mannes is a felon with a history of abuses to the public. The ABIM has no transparency about its operations it conducts in the dar and no compassion for its victims. All 200,000 of them. Dr. Baron has not addressed what they have offshore accounts for in the Cayman Islands and who all their international partners are. ABIM is a dark organization which has been clearly involved with dark money and the transfer of funds outside the normal operations of a non-profit. They have lied for unknown reasons about the domicile of the ABIM Foundation. The image they project is a false one, and candidates and diplomates should exercise caution and consult with attorneys and law enforcement if they think they are being victimized or deceived. The history shows that there is more than reason to believe that the organization is not what it appears to be with so much money going for non-testing purposes. This is a red flag. ".....placating physicians with such messages at Thanksgiving is akin to a child molester grooming his victims to earn their trust; it's about as ethically moribund as it gets." Spot on, Wes!! Exactly it is... SAD.